1) The only way to provide open access to peer-reviewed journal articles is to publish in open access journals. 2) Publishing in conventional journals closes the door on making the same work open access. 3) Open access journals are intrinsically low in quality. Hybrid journals, which have a mix of OA articles and articles which are only accessible to subscribers. To publish an OA article, authors again usually have to pay an APC (the ‘Gold’ OA option). However, the subscription-only articles can usually be made open access free of charge after a specified embargo period has ended (the ‘Green’ OA option). 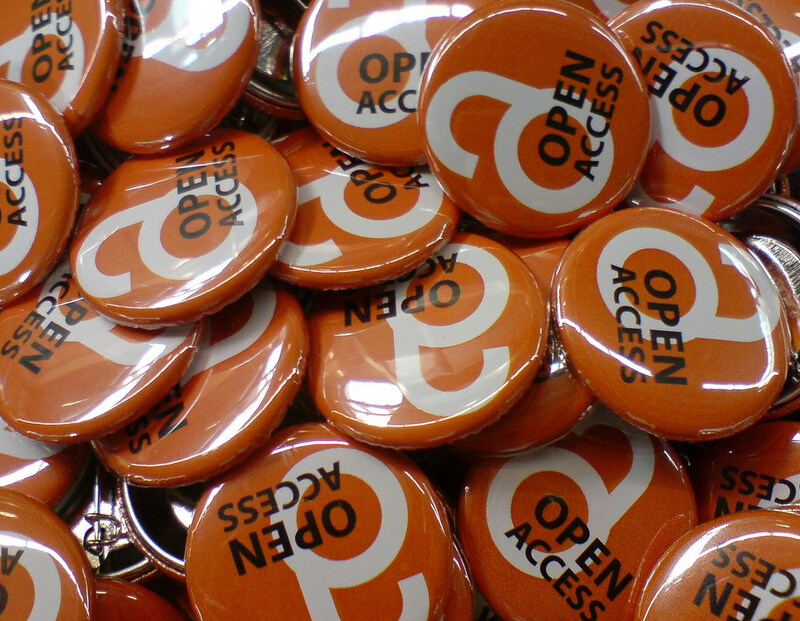 Papers published via the ‘Gold’ OA option are published immediately by the publisher (no embargo period). The Library has vouchers and funds available for paying the APC (although eligibility criteria apply). Check eligibility and apply for an APC from our Paying your Article Processing Charge intranet page. How does the free-of-charge ‘Green’ OA option work? Green OA is typically achieved when the author’s accepted manuscript (AAM), for a conventionally published article, is made freely available via a subject or institutional repository, like ‘Cranfield CERES’. This is usually only possible after the journal’s embargo period has ended. The Library ensures that the publisher’s copyright is not breached. Whether you choose the ‘Gold’ or the ‘Green’ OA option, to be eligible for REF the Library needs to know about your article, so we can put it into CRIS. So, as soon as your paper is accepted for publication, please send a copy of the AAM, along with details of the article title to accepted@cranfield.ac.uk. The Library will then do the rest. We have a three month deadline from the point of acceptance to deposit articles into the repository to meet the REF open access compliance policy. This is separate from eligibility of outputs for REF. All outputs have the potential to be submitted to REF irrespective of their open access status. The key driver for our REF submission (and the same will be the case in every other university) is to craft the best possible pool of outputs in terms of their research quality. You need to bear in mind embargo periods and Creative Commons Licences when choosing a journal to publish in. 12 months (REF panels A&B). 24 months (REF panels C&D). Any articles still under embargo at the REF submission date will be compliant with the REF open access policy, as long as the embargo does not exceed these lengths. If you pay a publisher to make your paper open access (‘Gold’ OA), ensure the publisher assigns a CC-BY re-use licence to the paper (this allows commercial re-use). For ‘Green’ OA, a CC-BY-NC licence is acceptable (this allows non-commercial reuse). Use SherpaREF for checking your journal for REF OA compliance, and SherpaFACT for checking funder OA compliance, or ask the Library for help. Never sacrifice the quality of the journal and the peer-review process for quick OA: Use the Think Check Submit checklist to help you to select a trustworthy journal, or ask your information specialist for guidance if you are unsure about a journal. Visit our Choosing where to publish intranet page for further guidance. Never feel pressured or tempted to explore other routes to OA, such as using vanity, self- or on-demand publishing. Some of these businesses are legitimate but some aren’t, so if you are approached directly by a publisher, you may find our guidelines on Predatory publishing: what it looks like and how to avoid it (pdf) helpful. And finally, follow these six simple steps to ensure your papers are REF (and funder) OA compliant – Simplifying paper compliance – and ask your information specialist for help whenever you need it. Sarah is the Information Specialist for manufacturing and is based in the Kings Norton Library.